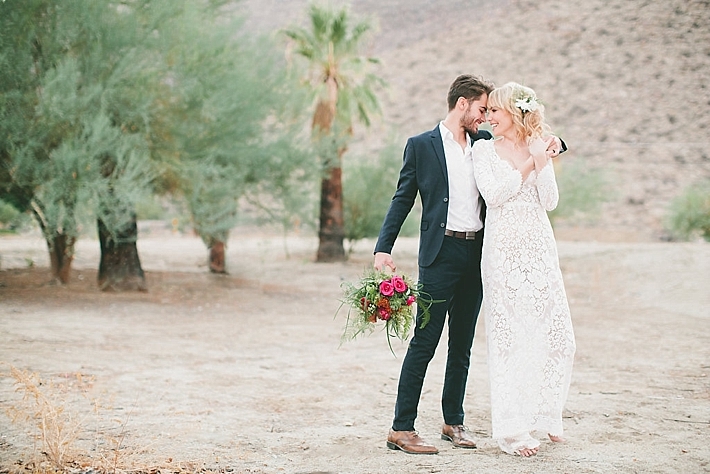 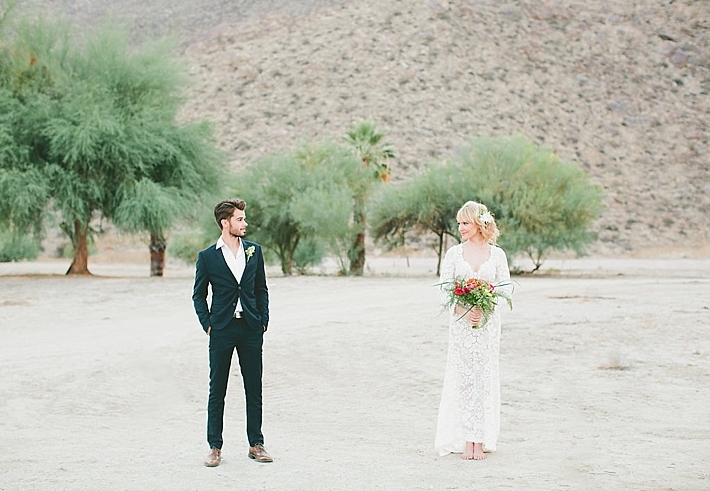 Here at Southern California Bride, we love all things Palm Springs. 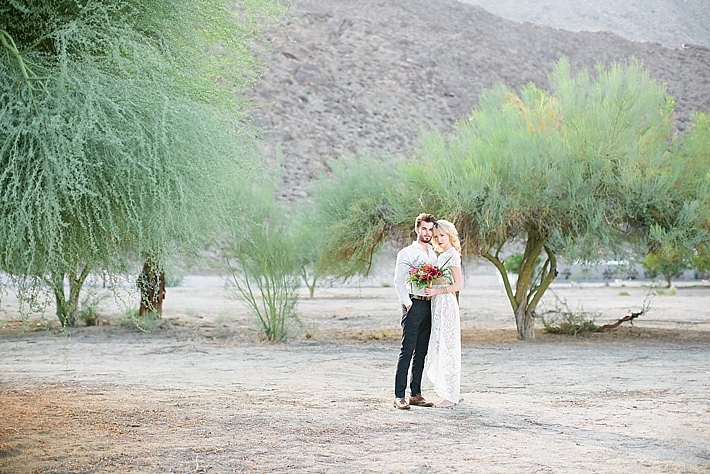 There is something about Palm Springs that gives off this far away destination vibe even though it's so close. 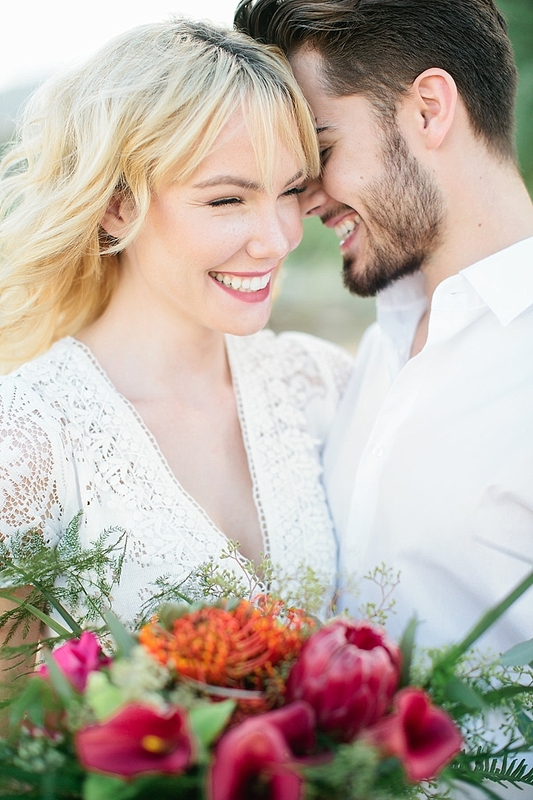 So when Abbi sent us this gorgeous shoot, I instantly fell in love and couldn't wait to share it! 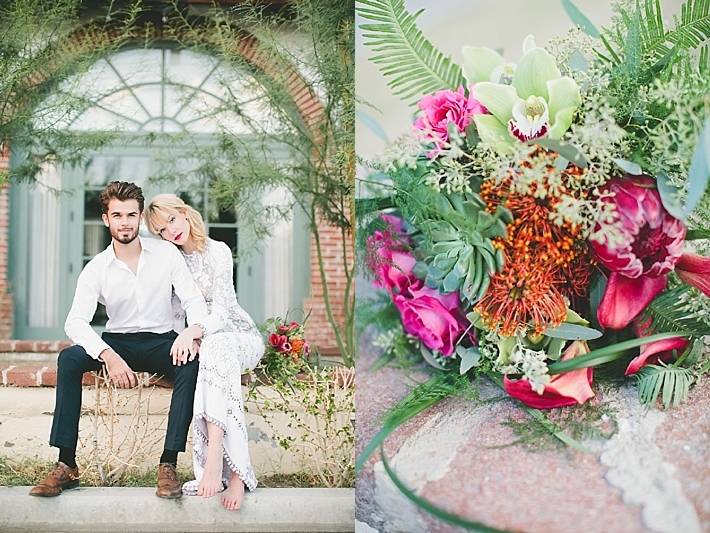 From Abbi: "This bohemian inspired shoot features a chic, natural bride with the perfect balance of vintage & modern style. 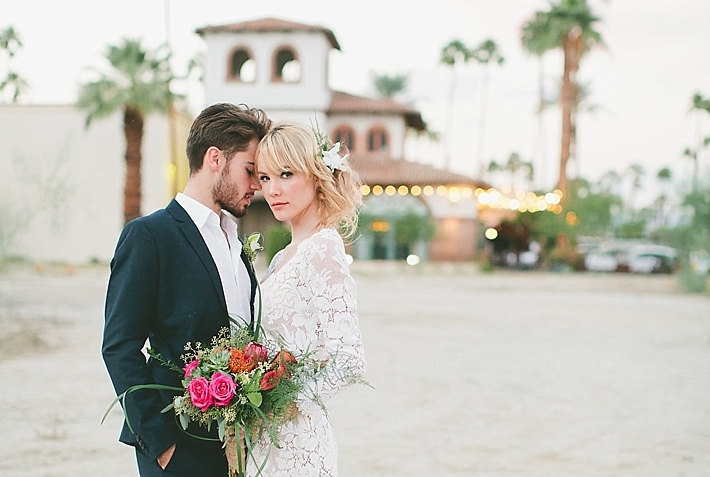 Both Saldana Vintage gowns are true vintage lace and are lightweight & airy- perfect for a chic desert wedding!"